Tankless water heaters do not turn the water in the tank; instead, they allow the regular water to be heated before it reaches the tap. These heaters can run on gas or electricity and are one of the most popular replacements in home technicalities. They are the up and coming home improvements as they are more convenient and more advanced. There are several advantages that come with tankless water heaters. 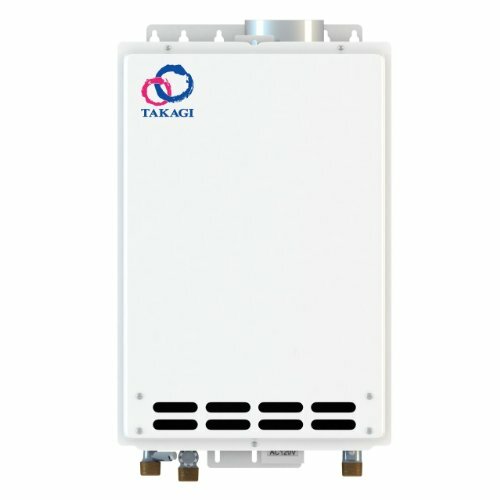 My article will help you understand why you should go tankless and what benefits it can bring. There are two basic kinds of water heaters that are tankless. They can either run on gas or on an electric power source. Both have their own benefits but the questions stands, which one is the better? The truth is there is no right answer to this. They both have their pros and cons and the preference of users depends on finding the one that is best. A few bases that you can count on are that if you go for gas you will need to depend on a constant flow of propane or natural gas. Many of the heaters also connect to the main supply which you will have to look into. Similarly, you will have to look if your electric supply is adequate to run the machine for a long period of time. The cost of installation is different for each type, with different factors affecting the price. In some houses the installation to gas is easier while in others electricity may be a better power supply option, hence the price varies accordingly. Gas ones are usually preferred by people that do not have to run the heater all day which is more convenient and cheaper for them. However, for people with long hours of use, the electricity one is better. Overall, there are preferences and factors that depend on which one works best for different people and houses which is why none of them can be called better. This is also one of the reasons why it is a great benefit to install tankless heaters; they are situational and can be suited for everyone. The installation price depends greatly on the power source of the tankless heater and the house. However, no matter what the situation and the power supply of the heater are, it will always be cheaper than the tank system. A tank heater needs more plumbing and more complicated procedures to ensure that it works at its best. 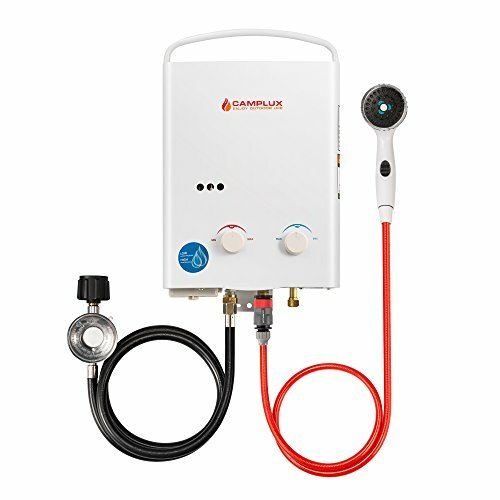 The tankless ones do not take a lot of work and they do not miss a lot with the plumbing which makes them much easier to install and hence cheaper. It is important to keep in mind that they are not cheap overall, you might have to spend a hefty amount, but it will be less than what you will have to pay for tank heaters. You may be able to save about 80 gallons maximum in your heated water tank. Unfortunately, if you are the last person to use hot water in a home with many people, you will have to wait hours until the water is refilled in the tank and reheated. The procedure can be very annoying as the slow system will not work to provide a small amount of water in times of need. Meanwhile, the tankless water heater takes seconds after it is turned on. The pipes instantly start producing hot water as long as there are water and a good power supply, there is enough hot water for everyone in the family. One of the worst things about living in an apartment is that you have to share the hot water tank with the rest of the building. The pipelines are all connected so sometimes when one person does not receive water, the other is enjoying a hot bath. Regardless of the situation, you can simply install a tankless water heater in your apartment. This heater will allow you to have hot water anytime that you find convenient. One of the best and safest parts of this water heater is that there is a separate one for apartments so that the heater can work at various altitudes as well. This allows users to be less concerned about the safety of having a water heater in the bathroom. Regular water heaters can be a great disadvantage. They cannot be installed anywhere that users prefer and they require a larger space to be installed. One of the best reasons to go for a tankless water heater is that it can be installed indoors and outdoors. This choice can be according to the preference, security reasons, or other factors. In places where the climate tends to reach below negative and causes everything to freeze, a water heater that is placed outside can malfunction. If the heater is not suited to function in negative temperature it may be useless in the winter. However, if you choose to install your water heater indoors, you can enjoy the luxury of hot water regardless of how cold it is outside. Similarly, people who prefer the gas tankless water heater may not find it suitable to be indoors because of children or safety concerns. These people can choose to have it installed outdoors and they will find complete peace of mind in terms of security. The energy resources in the world are on the verge of finishing soon and it is important that we save as much energy as possible. 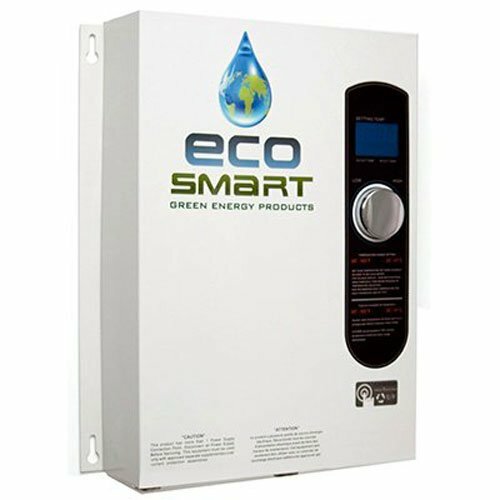 The tankless water heater can help you go green. Regardless of what energy source you are using, it is only used as long as you are running the tap and when you need it. You can switch off the machine when you are done and save energy. They do not have to stay standby which makes them much greener than the other kind. In-tank water heaters, the energy needs to consume in order to keep the water heated at all times so that when you need it you can have it at hand. The rule of the market is that the customer always loves the product with the longest life so that it can save money in the long run. 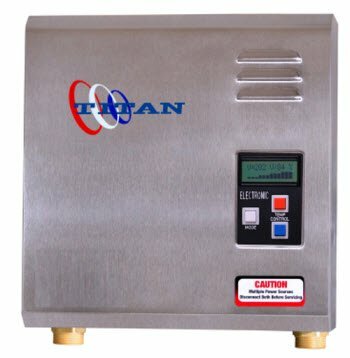 The tankless water heater has an average of about 20 years of life and it can be extended according to the company and the model as well. A small investment can last you 20 years. Many companies provide guarantees, warranties, and even free returns and refunds in case the machine busts before the promised time. The regular tank type water heater has about 10 to 15 years of durability. They are not very popular which is why there is usually no guarantee on the product by the company which not only reduces the lifespan but also makes the customer unsure. The durability of the tank type water heaters is therefore a negative subject. 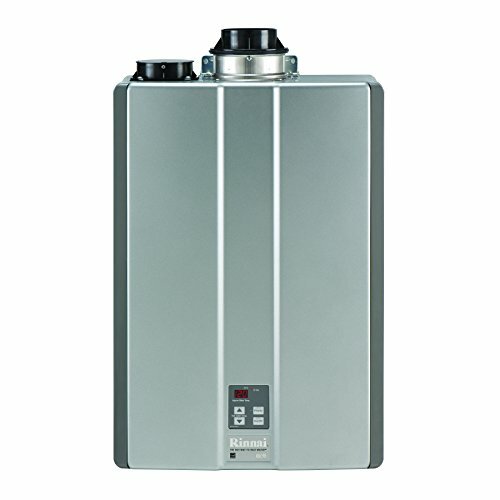 There are several different sizes of the tankless water heaters. The size depends on the usage of the water in the house. The purchase will be done to keep in mind few factors, one of them is that how many showers and taps run in one go. For example, if you have two bathrooms in your place, you can get the one that is smaller, less expensive, and runs for only two bathrooms. People with bigger places can go for two heaters for increased efficiency or one big size which will help them through their needs. Selecting the size and the usage increases the efficiency of the product. Unlike tank type water heaters, you will not be depending on gallons of water to be stored and not worry about the waste in case it is not used by the end of the day. We have learned that the tankless water heaters are much more durable than the tank type water heaters. However, one of the biggest issues in all types of heaters is that as time passes and their time ends, they lose their efficiency. Tank type heaters have this issue. They may last for about 10 years but every day they take more energy and a little more time to heat water until by the end of the heater, you will be spending double the amount of time waiting. The best part of the tankless water heater is that it is made with a modern design that filled features to make it durable. The efficiency of the machine is not affected and remains constant. So if it took you one minute to heat the water in the beginning, by its last breath it will take the same time. This feature allows energy to be saved as well as time to be saved. Scalding is the process of overheating or burning which is very common in tank type water heaters. Since the temperature is not usually set and you have to mix the cold water with the hot water, there are the chances of burning. 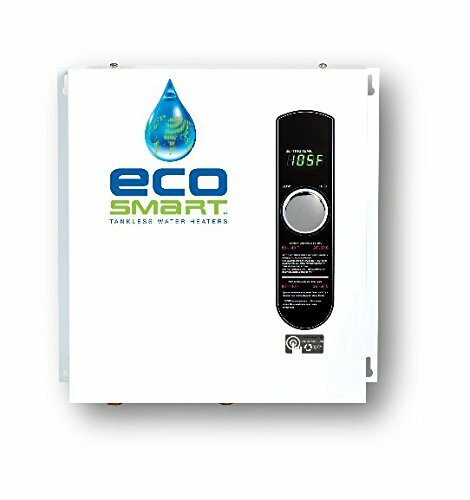 Tankless water heaters come with a digital control system that allows users to set the temperature to their choice. There are many different options you can get to find the control system. Many systems have a remote control or a digital touchpad that helps maintain the temperature. In case you are worried, there are also child lock systems that help keep the temperature to the safe and required level by the users and reduce chances of scalding with the tankless water heater. Tank type water heaters store heated waters in tanks. Those tanks are hard to reach and care for, which is why the water can be easily contaminated unless they are treated manually which is very difficult. The contaminated water can cause skin diseases and can be hazardous if accidentally swallowed. 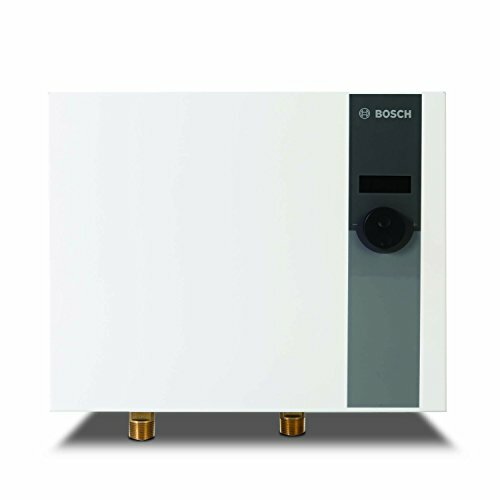 Most of the tankless water heaters have a built-in water filtration system. The purpose of this system is to ensure that users get the best water quality even when it is coming directly from the pipes. The water is thoroughly filtered so that contamination are easily removed and it is safer to use. Buying any system means that the users will have to keep in mind the maintenance. Tank type water heaters are not easy to maintain. If they start to malfunction, they are considered scrap until they completely lose their life. The tankless water heaters are much easier than the tank type. They do not require any tank maintenance at the beginning, which gives them a head start. 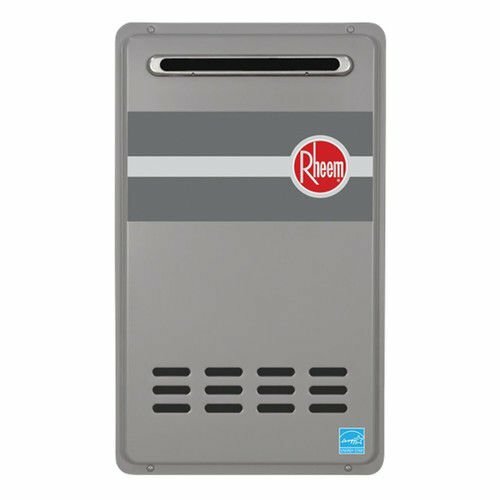 The tankless water heaters will require you to occasionally change the filter as suggested by the manufacturers which are an average of about every six months. The machine also has parts that are easily available. In case it starts to malfunction, the parts are easily available and can be changed to make it good as new. The parts also come with a warranty to ensure safety to the users which makes it better than the traditional kind. You can see that tankless water heaters have many different benefits. They may be a little costly in the beginning, but in the long run they help save a lot of energy, water, money, and even time. Make sure to consider the various options before you decide to buy one. It is highly recommended that you consult a professional so that you can get a better and safer idea.